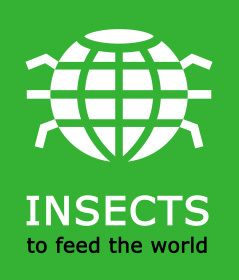 "Insects to feed the world" conference, May 14-17,2014. The first international conference on insects for food and feed brought over 450 participants from 45 countries together to discuss about the state of the art in research, business and policy making in this new developing sector. The conference was organized in collaboration between Wageningen University and the Food and Agriculture Organization of the United Nations and was held in Wageningen, the Netherlands. The conference was a milestone in the recognition of the professional insect industry. Feed industry leaders, insect breeders, universities, NGO’s and other stakeholders gathered for the first time, with a clear message - insects for feed and food are viable solution for the protein deficit problem. The conference full report (available in English only) contains a summary report with key messages, conclusions, recommendations, annex with the conference programme, all abstracts of presentations, posters and the list of participants. For obtaining copies of powerpoints presented during the conference, please contact the author(s) directly (see under list of participants). A new "Journal of Insects as Food and Feed" by Wageningen Academic Publishers was also launched. For further information please click visit the Journals website.